The most noteworthy feature of this new caliper design is the forging. 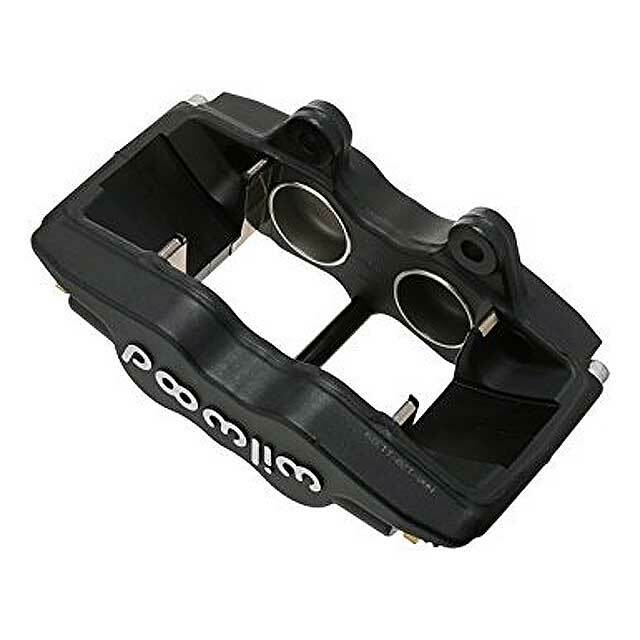 Each body is stress-flow forged from premium grade aluminum alloy billets. Stress-flow forging re-aligns the metal’s internal grain structure to flow within the contour of the caliper body. This process eliminates the stresses and interruptions to the internal grain structure that occur when machining a straight block billet. Simply stated, there is no better way to build a stronger aluminum caliper body. The superior strength of this innovative new caliper is combined with proven performance features from other Wilwood designs. 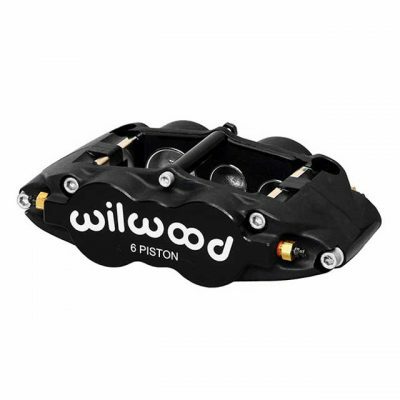 Each caliper is equipped with Wilwood’s replaceable SRS stainless steel bridge plates. 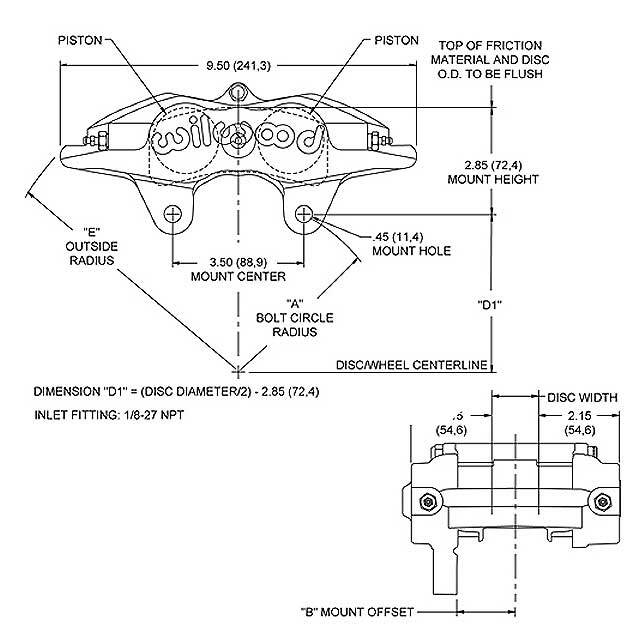 SRS plates eliminate the bridge wear caused by pad gouging and extend the service life of the caliper body. 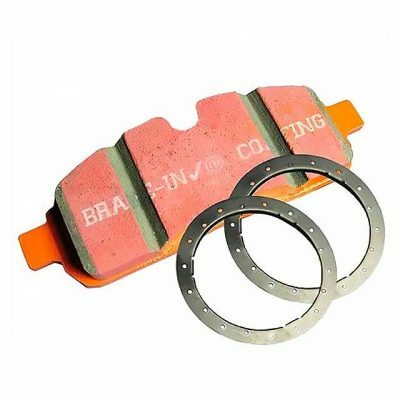 The spring-loading action of the SRS plates also eliminates pad rattle and dampens the vibration harmonics that contribute to squeal under braking. 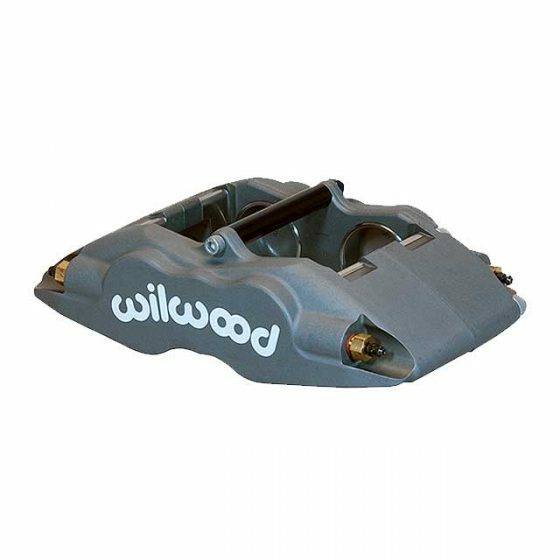 Other standard Wilwood features include high-temperature, square faced o-ring seals for positive sealing, controlled piston retraction, and long service life in high heat conditions. Stainless steel pistons are used to resist corrosion and retard heat transfer from the pads. 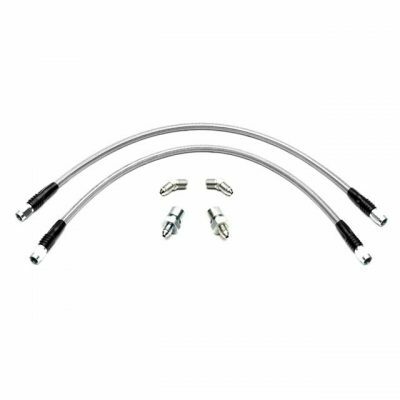 Two-piece bleed screw assemblies provide long, reliable service life and are easily replaced if necessary. 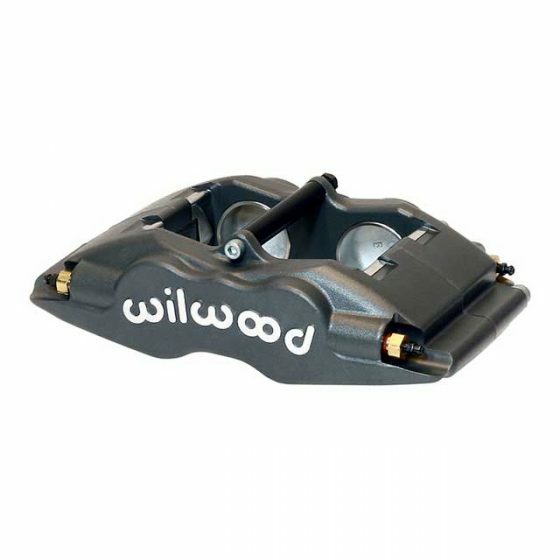 FSLI calipers are a direct replacement for all Wilwood Superlite and similar competitive brand calipers with 3.50″ centered mounting tabs. 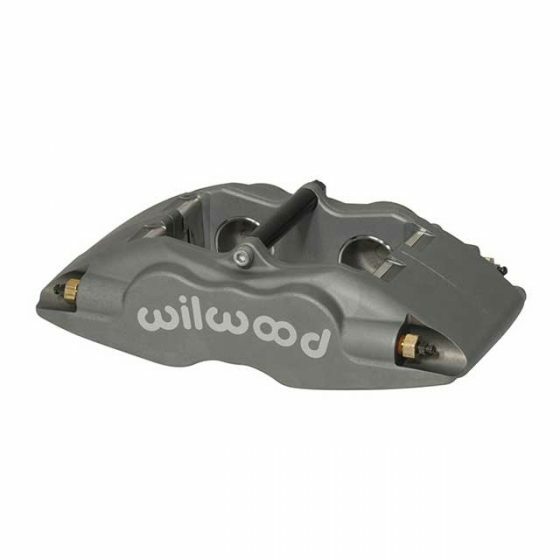 Calipers are available in the popular 1.75″, 1.62”, 1.38″, 1.25” and 1.12” piston sizes for .81″, 1.10″ and 1.25″ rotor widths. FSL calipers use the same 7420 type bridge bolt brake pad used in all Superlite 6 piston calipers. The full range of PolyMatrix pad compounds is available to match brake response and heat range to any application.